If you didn’t catch it, here’s the blog I did for Harper Impulse which explains a little about the background to the Berecombe books. Once upon a time, a long time ago, a very ordinary little girl from a very ordinary family climbed into the car and travelled south to holiday in a special town by the seaside. It filled her with magic and wonder. She loved it so much, she kept going back … and back! Hi, I’m Georgia Hill and I write rom-coms and historical romance for Harper Impulse. 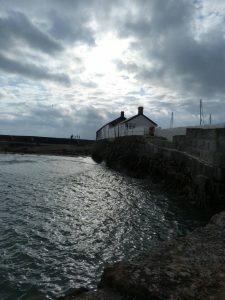 I was that ordinary little girl and the place I was taken to, for the first time when I was five, was Lyme Regis on the English Dorset coast. Since then, I’ve been lucky enough to travel widely. To places hot and sultry, toe-numbingly cold, to fun party places and destinations which were edgier. 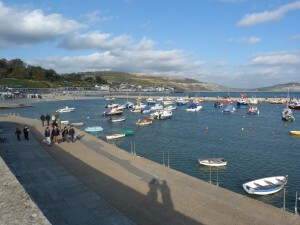 But I always went back to Lyme Regis as well. If I couldn’t manage a trip at least once a year, I was not a happy bunny. I think I became slightly obsessed! There is something magical about being by the sea. If you’re the energetic kind, you can swim, surf, fish, or simply walk along a quiet beach gathering shells and your thoughts. One of my favourite things to do is sit by the sea and watch its ever-changing moods. I live by the sea now and never tire of it. The ordinary little girl from the midlands is still in there, somewhere, and I think she’s still clasping her bucket and spade! When hunting for inspiration for a new set of novellas, I didn’t have to look very far. Berecombe, my fictional seaside town, is in Devon rather than Dorset but is firmly based on my beloved Lyme Regis. 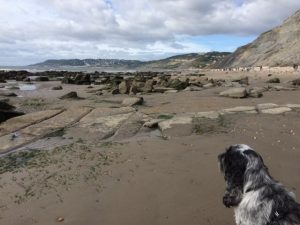 If you know Lyme, you’ll instantly recognise Marine Parade (Berecombe’s promenade) with its theatre at one end and harbour at the other and its steep main street. So, why didn’t I use Lyme as my setting? The wonderful thing about making up a town is that I can add things I need. Lyme’s notorious for landslips but, in Millie Vanilla’s Cupcake Café: Summer Loves, I could set Mikey Love’s beautiful house high up on Berecombe’s cliffs without danger of it slipping into the sea! In The Little Book Café: Amy’s Story, a character rents the same house – I love to reference favourites from other books. 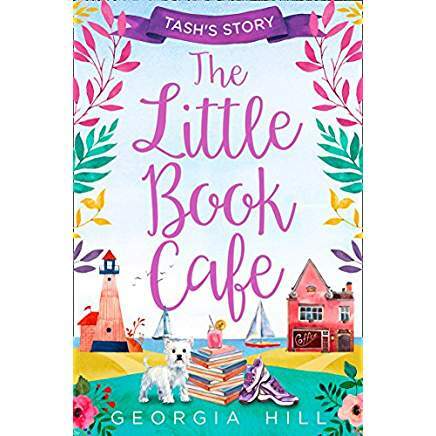 I wanted to move Millie’s story on and in The Little Book Café novellas, the first of which is out in August, life finds her buying up the derelict seaman’s chapel next to the café and converting it into a book shop. It brought a whole load of new possibilities, story lines and characters while still using Berecombe as background. I can’t seem to shake off Biddy though. She’s one of Berecombe’s eccentrics and pops up again and, if anything, is even naughtier! I love writing about a seaside town through the seasons. Berecombe is a completely different place when full of tourists and the sun is shining, to in winter when it’s damp and foggy and the yacht halyards clank mournfully in the breeze. 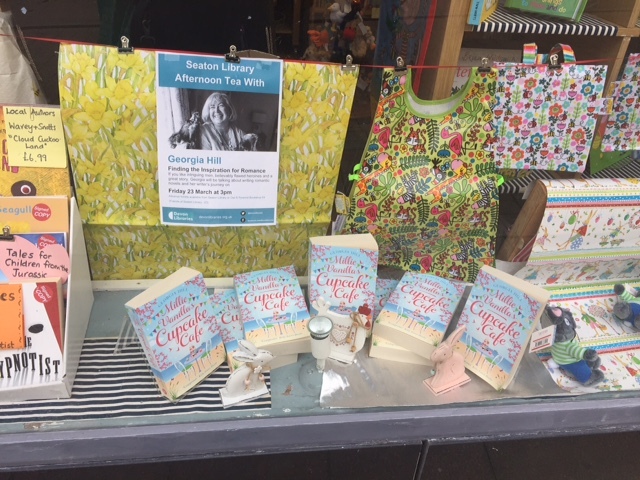 When the sea is rough and the wind bracing, you really need one of Millie’s special hot chocolates, or to pop into The Little Book Café and browse for a book to curl up with in front of a roaring fire. What a great excuse for a chocolate fix and a good read! To research the new novellas, I spoke to some dedicated and enthusiastic independent book shop owners. It’s not the easiest of business to run but they do it for the love of reading and books. And their shops are often at the heart of the community. I’m really lucky to have three or four fantastic book shops nearby. 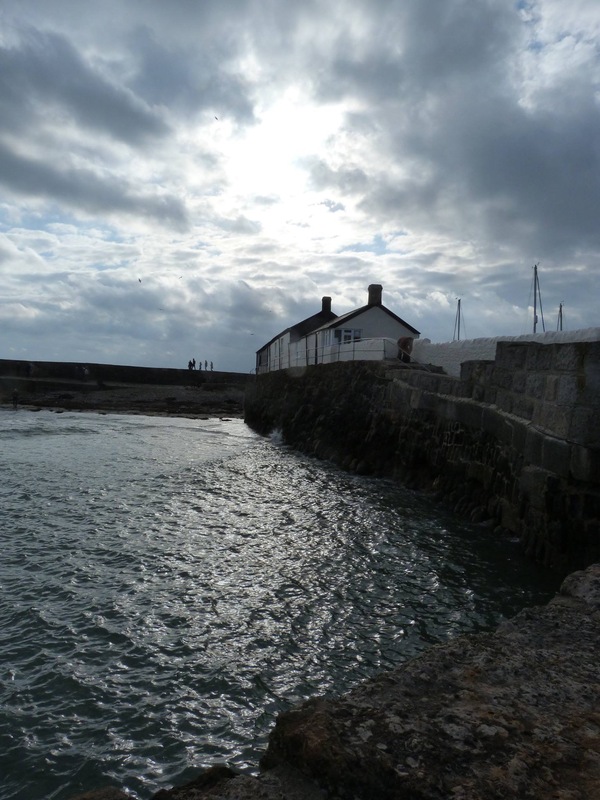 When I was that little girl who discovered a whole new world in Lyme Regis, my other obsession was reading. It was a no-brainer to combine the two. I hope you enjoy the new novellas, especially if you can’t manage a trip to the coast this year. Let The Little Book Café stories put a little bit of seaside sunshine into your life!